Introducing “Viewer Guide,” your weekly peek into what’s coming up next on REEL 13, written by host Richard Peña. This week’s REEL 13 Classic is Sunset Boulevard, one of the best loved of all Hollywood film noir masterpieces, directed by Billy Wilder. By the time of Sunset Boulevard’s release in 1950, Hollywood had accumulated a lot of history—and a lot of ghosts. With the advent of sound film in 1927, a “before and after” dividing line emerged that virtually erased the silent film era from the minds of new generations of “talking picture” moviegoers. By the 1950s, silent movies were usually fodder for parody, as in Singin’ in the Rain. But what had really become of all those original gods and goddesses of the silver screen? 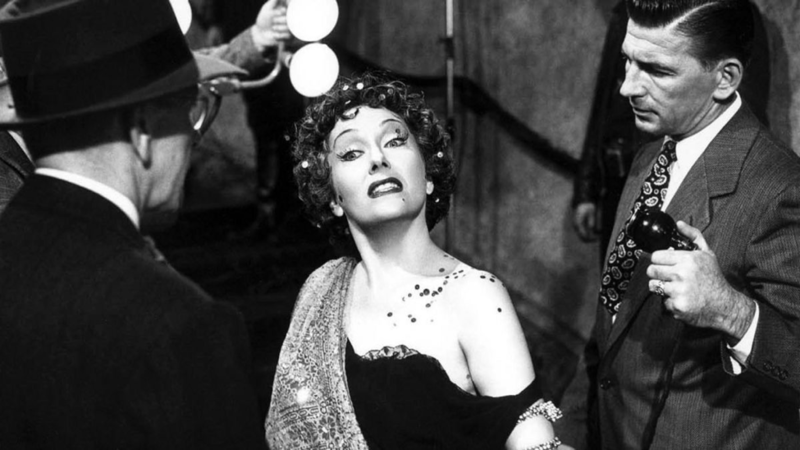 In Sunset Boulevard, co-screenwriters Billy Wilder and Charles Brackett conjured an answer that captured the popular imagination with its operatic tale of a doomed pursuit of cinematic immortality. The film is literally narrated by a dead man—a struggling screenwriter named Joe Gillis, played by William Holden, who is just one step ahead of the goons out to repossess his car. Literally skidding out of the sunlight and into the shadows, Joe evades his pursuers by ducking into a faded mansion off Sunset Boulevard, and inadvertently enters the world of Norma Desmond, a once-great star of silent movies—played by an actual once-great star of silent movies, Gloria Swanson. 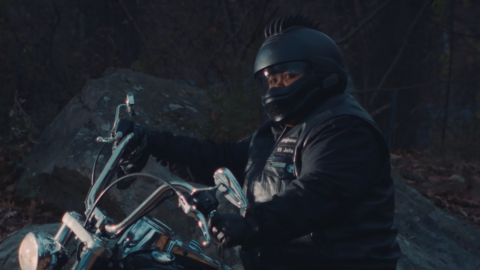 Needing a place to disappear for a while, and simultaneously intrigued by Norma’s deluded quest to return stardom, Joe figures he has nothing to lose by hanging around and helping Norma to write her big comeback script. But soon he discovers that leaving Norma’s dream world on Sunset Boulevard is much more difficult than getting in. The film also stars legendary silent film director Erich von Stroheim as Norma’s long suffering butler Max, and Nancy Olson as another aspiring screenwriter with her own ideas about Joe and his career. Sunset Boulevard features cameo appearances by Hollywood legends Buster Keaton, Hedda Hopper, Anna Q. Nilsson and H.B. Warner—all identified as fellow members of Norma’s collection of “waxworks.” Hollywood’s original blockbuster director, Cecil B. DeMille, appears as himself. Among the actresses that Billy Wilder reportedly considered for the role of Norma Desmond were Mae West, Pola Negri, Norma Shearer, Greta Garbo and Mary Pickford, with Marlon Brando and Fred MacMurray contemplated for the role of Joe. While Montgomery Clift initially accepted, he later withdrew over his skittishness about a romance with an older woman—perhaps due to his own relationship with singer Libby Holman, who was 16 years Clift’s senior. Wilder later claimed it was George Cukor who suggested Gloria Swanson for the role. But unlike Norma Desmond, Swanson was not seeking a comeback; she had left Hollywood in 1938 and moved back to New York, where she worked on rescuing Jewish scientists being persecuted in Europe, as well as reviving her stage career. Happily settled back east, she had to be talked into the indignity of doing a screen test for the film by Cukor himself. The film’s art-imitating-life dimension was further deepened with the pairing of Swanson and von Stroheim, who had directed Swanson in Queen Kelly, her last major film before Sunset Boulevard, in 1929. In fact, the clip Norma and Joe watch on the screen is from Queen Kelly, which sadly had never been released in the US, although it was screened in other parts of the world. Wilder originally wanted the film to begin with Joe’s corpse sitting up in the morgue and starting to converse with the other corpses; perhaps not surprisingly, early preview audiences found the scene laughable. So Wilder reshot the opening, now with Joe’s body floating in the pool while retaining his voiceover narration, simultaneously setting the film’s noir tone while creating the irony of a dead man narrating his own tale. Although critically acclaimed, the film was only a modest success at the box office. Sunset Boulevard did garner 11 Academy Award nominations including Best Picture, Director, Actor, Actress, Supporting Actor and Supporting Actress, winning for best screenplay, art direction and score. Supposedly, at a private screening for Hollywood VIPs, an incensed Louis B. Mayer reportedly attacked Billy Wilder for airing too much of Hollywood’s dirty laundry. Yet over time, the film’s popularity and critical stature steadily grew, and today it’s almost universally regarded as one of Hollywood’s true classics, so beloved that it was memorably caricatured in one of Carol Burnett’s most famed movie parody skits, as well as reincarnated on Broadway in Andrew Lloyd Webber’s musical adaptation in 1993. 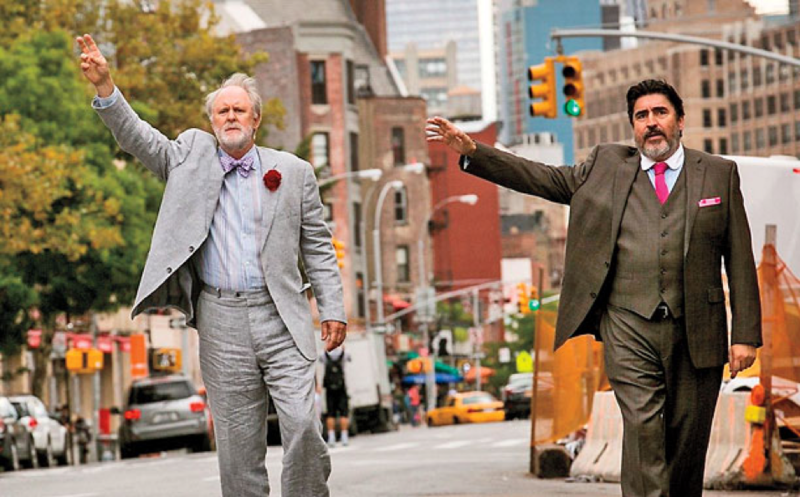 Following Sunset Boulevard is this week’s Indie, Love Is Strange, a 2014 drama starring John Lithgow and Alfred Molina, directed by Ira Sachs. Lithgow and Molina play Ben and George, a longtime gay couple who after 39 years together are able to reap the benefits of social progress and finally get legally married. A warm, casual celebration follows at the couple’s co-op apartment, where the newlyweds are joined by family members including Ben’s nephew Elliott, his wife Kate and their son Joey, played by Darren E. Burrows, Marisa Tomei and Charlie Tahan, as well as neighbors from their building including a gay NYPD couple played by Cheyenne Jackson and Manny Perez. But even in today’s “progressive” era of gay weddings, the long arm of homophobia still has a lot of muscle left in it: when the news of his wedding to another man leaks out, George loses his job as the choir director at a Catholic School, and the couple quickly discovers they can no longer afford their co-op apartment on Ben’s retirement income. Even worse, given all the taxes, fees and their building’s rules about “flipping” properties, Ben and George don’t see nearly as much profit from the apartment’s sale as they had hoped. Consequently, until they can find a new and affordable living situation, Ben and George are forced into a vagabond existence, temporarily separating to bunk up with the very same family and friends who were just celebrating their marriage. 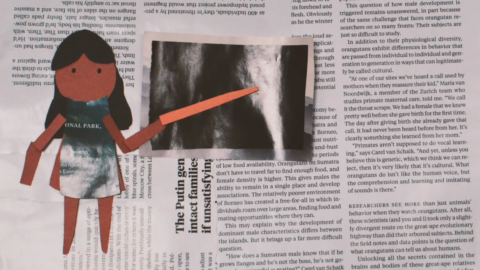 And as every New Yorker knows, having house guests for more than a few days creates stresses and tensions, even between the closest of friends and family, because, well, love indeed can be strange. Since his impressive feature film debut in 1996 with The Delta, Ira Sachs has created one of the most consistently intelligent and moving bodies of work in the American cinema. Sachs is that rare contemporary filmmaker who actually seems interested in people; whether they’re behaving splendidly or not so splendidly, Sachs wants to know why, and guides his performers into allowing us to look into their souls. In a time that continues to be dominated by endless remakes and sequels, we’re so lucky to see Sachs’ approach to cinema not just surviving but flourishing, as seen by the great success of his most recent film, Little Men. Critically acclaimed at the time of its 2014 release, Love Is Strange garnered numerous accolades, winning AARP’s Movies for Grownups award for Best Grownup Love Story, and receiving four Independent Spirit Award nominations for Best Feature, Best Screenplay and Best Lead and Supporting Lead nods for John Lithgow and Alfred Molina. Other honors included nominations from the GLAAD Media Awards, the Gotham Awards, and the Humanitas Prize.